WHAT IS YOUR ROOF MADE OF? - WCC ROOFING CO.
At WCC ROOFING CO, we know that our job is not only to help you build, maintain and restore your roof, but to help you understand the type of roof that you have so that you can preserve it for years to come. There are many types of roofing materials, some more widely used in commercial roofing than in residential and vice versa. Among the roofing types, we have selected 7 categories to briefly describe their characteristics. SHINGLES – Popular on many residential structures in this area, shingles are cost efficient, durable roofing material made with a base mat of paper, cellulose, wood fiber, or other materials saturated with asphalt to make it waterproof, then a top coating of adhesive asphalt is applied and ceramic granules are then embedded. Shingles are the most common material used on residential roofs. TPO – Thermoplastic Polyolefins are blends or alloys of polypropylene plastic or polyprolylene and ethylene propylene rubber (EPR) or ethylene propylene diene terpolymer rubber (EPDM). These extremely durable membranes come in several thicknesses, making it an appealing option that is common on commercial roofs and also used for residential roofs with little to no slope. EPDM – This synthetic rubber roofing membrane has ethylene and propylene astwo primary ingredients,, are derived from oil and natural gas. EPDM is slowly being replaced by TPO membrane roofs. METAL – Primarily made of steel or aluminum, metal roofs have proven to stand the test of time. Copper, zinc and titanium are also used in specialized architectural applications for homes. Although metal roofing is more expensive than most other roofing materials, it is considered the strongest, most durable roofing material. PVC – an ideal long term solution PVC roofing membrane is made of thick, flexible UV-resistant thermoplastic material; it may also contain polyester or fiberglass, resins, pigments, plasticizers and other chemicals. PVC is most often used on commercial buildings. COMPOSITE OR SYNTHETIC – A substitute for the real thing, synthetic types are created to mimic the look of real tiles, are often more environmentally friendly, sturdy, and energy efficient than their counterparts. Virtually indistinguishable from real slate and wood, manufacturers have developed a strong track record for dependability and are the top of their class. MODIFIED BITUMEN – These systems can be installed with the common torch method, asphalts, or cold adhesives. A standard modified bitumen roof system is a two-ply system applied in rolls that overlap the edge of the previous roll. They are typically used on flat surfaces. SLATE- This natural stone has a unique and beautiful appearance. 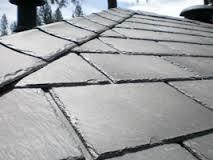 One of the longest lasting roofing materials on the market, slate can also be expensive to maintain. No matter what type of roof you have, WCC ROOFING CO provides the experience and knowledge needed to preserve, repair or replace your roof.